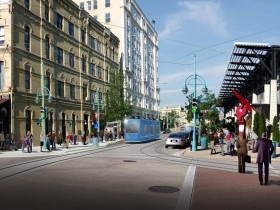 MILWAUKEE – With notable development underway in downtown and opportunities to expand on that development, Mayor Tom Barrett announced a new plan to move the Milwaukee Streetcar project forward. Using non-property tax funding, the new plan adds a lakefront line to the previously announced route and covers the potential costs of utility relocation. 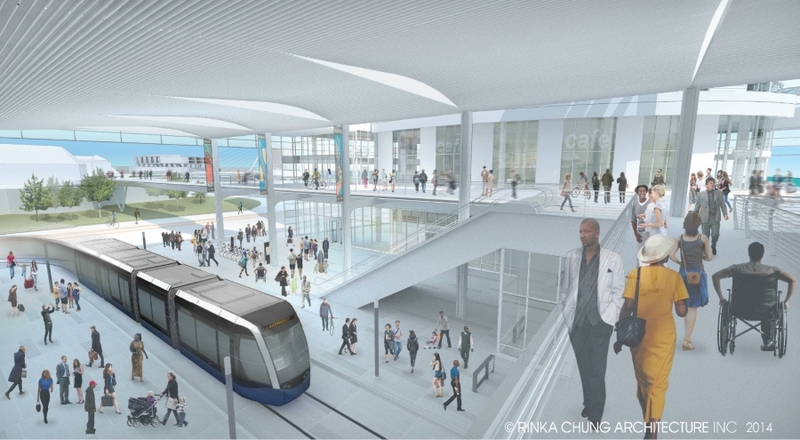 The plan, which relies on previously allocated federal funding and tax incremental financing funds generated by new development near the route, will enable streetcar operation to begin by 2018, officials estimate. The plan, which requires Common Council approval, will use $54.9 million in federal funds already approved and $59 million from tax incremental financing. 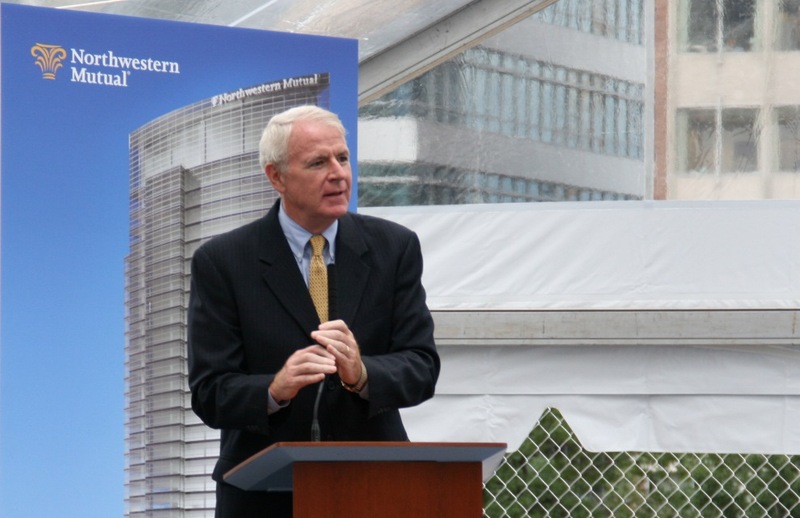 Mayor Barrett cited the $2.6 billion in completed downtown development from 2005-2014, the $980 million currently under construction and the nearly $1.3 billion in proposed downtown investment as a strong sign that Milwaukee needs and can support a streetcar starter system. Barry Mandel, president of Mandel Group, one of the southeast Wisconsin’s top real estate development and management firms, said the decision to move forward was welcomed by area developers, employers and residents. Ald. Nik Kovac said the route was a starter system that would reach out to neighborhoods over time. 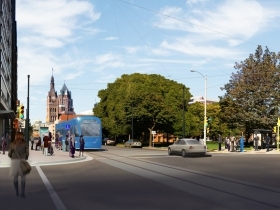 “The streetcar will create a vital new transportation option for Milwaukee neighborhoods, and improve access for residents and workers around the city,” Kovac said. Barrett said work on the project had been temporarily slowed due to state actions that drove up city costs with an unprecedented requirement that the city pay for private utility relocations. While the city Monday filed a court appeal of the state action and hopes to reverse the requirement, the new plan allows the city to fund the utility relocations if necessary. Maybe you should concentrate on more waste water treatment plants. MMSD needs to stop dumping excessive over flow into the lake. @Bob MMSD Has massively reduced overflows. And there are continuous projects to further reduce run off, and in turn over flows. 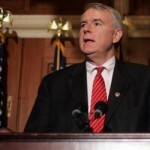 How will this affect bus routes? I imagine we’ll reallocate busses to the west and south to improve transportation needs there. Or will you sell those resources in an effort to cut down on public fuel spending? “…the new plan adds a lakefront line…” Any details on where this new portion would be? Dan, I think it’s going to be where the Couture development is plannned. First, I think the streetcar could work and I’m happy to see it built. However, adding this additional line to the plan now is a terrible idea from a transportation standpoint as nobody lives there and few people will theoretically live there when and if this building is built. Have transporation studies been done on this new line to see if it’s worth the additional cost? 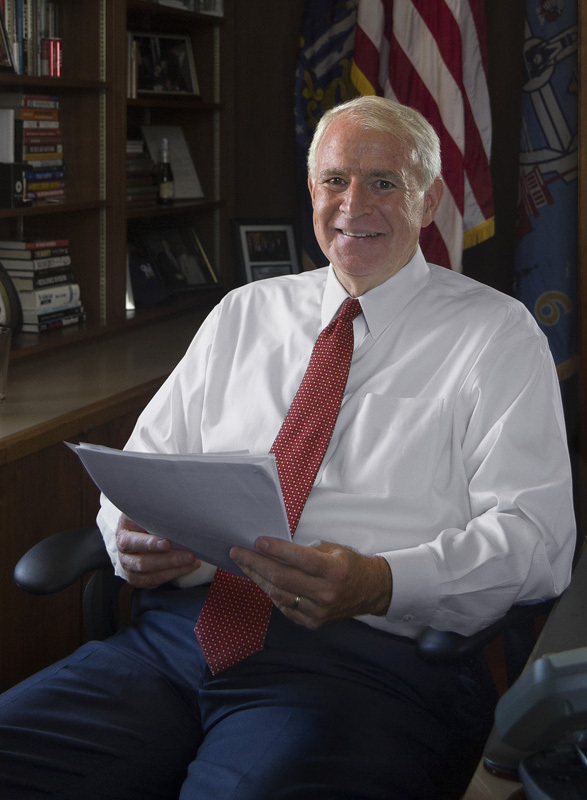 I think it points to too friendly of a relationship between Tom Barrett and Rick Barrett and is bad for the City. Bryan, the County runs MCTS. The County has repeatedly passed on running the streetcar, which is the City’s baby. If the City starts running the streetcar (poaching some of the best ridership areas in the City), MCTS can choose to alter their bus routes, but it won’t be a well-thought-out agreement between the two entities. Also, because of the way that the State and Federal government allocate federal transit operating funding, it will mean that both the City and the County will now be competing for the same slice of the pie, so they’ll both get a lower percentage of their operating costs covered. It’s totally stupid for the City to have pushed forward with this in my opinion. 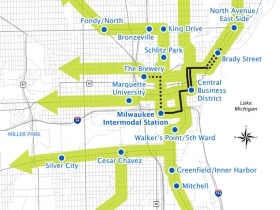 But that’s Milwaukee for you: backward-thinking, even when it’s trying to be forward-thinking. 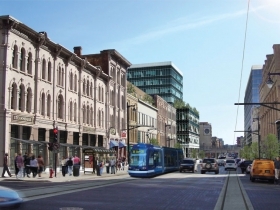 The only problem I see with the streetcar plan is that I will turn 80 (I hope) the year it is finished. I just hope I will still be around to Ride the Streetcar. Not only is this useless, it’s ugly. I’m so sick of ugly modern architecture decimating our city. It’s plain, utilitarian, and when it’s dirty and a decade old, it will just be another eyesore. Why don’t we focus on designing things that compliment our once beautiful city? …and I don’t mean faux-old, either, like the Wells-Fargo building or the Midwest Express Center, or whatever it’s called now, or that ugly red trolly we’ve had driving around ‘East-Towne’ (equally lame name). Don’t we have any great architects like Koch anymore? …or can’t anyone at least copy their ideas? …and, like others are saying, what are we going to use it for? Those pictures aren’t realistic at all. I mean, where are all the potholes? No picture of a Milwaukee street is complete without a street finished several weeks earlier with ridges and holes covering the entire thing. It’s charming, I assure you. For a fresh sample, check out the area where Prospect Ave turns into Wisconsin Ave.
JUST SAY NO!!! I don’t believe for one second residents have demanded this. Anyone in their right mind would NOT agree to this. Our schools, buses, and streets need fixing first. And we need more POLICE officers.